Celebrate Christmas with Flamingo fun with the Fa La La La Mingo Holiday Dog shirt in White! The Fa La La La Mingo Holiday Holiday Dog Shirt will bring out smiles and some fun at the beach this season. 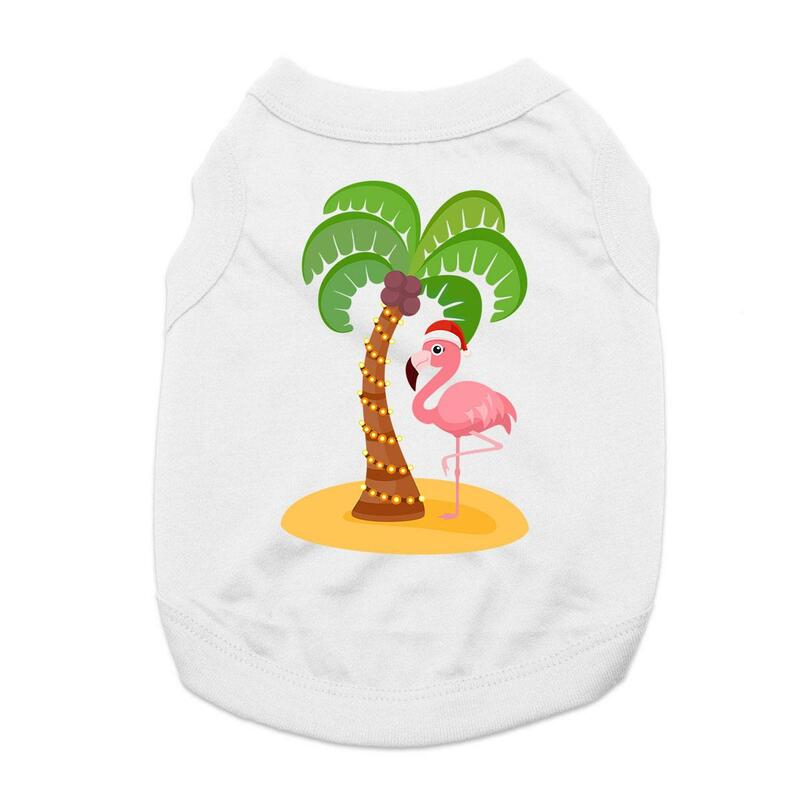 Add some tropical fun to your pet's holiday wardrobe with a cute T-shirt with a flamingo sporting a Santa hat and a palm tree with lights! This dog tank top features a sleeveless style with a high-cut, stay-dry belly for the ultimate comfort and convenience. This exclusive design is printed right here in our BaxterBoo.com T-shirt Shop for your dog and is available in a wide range of sizes to outfit the whole pack! The 100% cotton is breathable and comfortable. Machine wash cold and dry flat for best results. Great for holiday gifts and stocking stuffers! Fa La La La Mingo Holiday Dog Shirt - Love it! 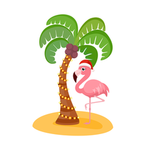 We love flamingos and the Christmas season is another time to express this in a cute tee. My dog thinks this is beachy keen and it fits her well! I have 4 Frenchies and a boxer. 2 of the Frenchies have allergies so I keep t shirts on them to prevent scratching their skin. IT is cold here in the winter so need hoodies for all which I have bought through this site.The items always fit!!!!!! Yea!